The salt brand, along with The Brand Brewery, undertook a two-day mobile on-ground activation as part of its 'Sehat Ki Chuski' campaign during the ongoing Jagannath Rath Yatra in Puri, Odisha. India is a land of varied cultures and customs where people of different faiths often come together to be a part of the colourful melange offered across its religious diversity. Among these, the one annual religious event that draws pilgrims and devotees in huge numbers alike is the Jagannath Rath Yatra organised every year during the months of June-July (coinciding with Ashada in the Hindu calendar) in Puri, Odisha. It is believed that the Rath Yatra, or the Chariot Festival, is dedicated to Lord Jagannath, his brother Balabhadra, and sister Devi Subhadra during which period they leave the Jagannath temple and reach their aunt's house, the Gundicha temple. Owing to its immense popularity, the Rath Yatra witnesses a huge number of footfalls in the city every year braving the scorching heat and the dusty winds that welcome the pilgrims who come from far and wide to catch a glimpse of the festivities. This year, the nine-day affair commenced on July 6, and will end on July 14. Hinged on this insight, Tata Salt, the salt brand from Tata Chemicals, and The Brand Brewery, an experiential marketing agency, came together for the 'Sehat Ki Chuski' campaign - a mobile on-ground activation where one lakh branded 'Energy Pops' were distributed free of cost to one lakh pilgrims on the first two days of the religious congregation -- July 6 and 7 -- in order to keep them (the pilgrims) hydrated during the entire two-kilometre long stretch from Lord Jagannath's temple passing through the Grand Road where the celebration takes place, until they reached the Gundicha temple. Commenting about the innovation, Sagar Boke, head, marketing, consumer products business, Tata Chemicals, says, "India is a land of diverse cultures and festivals. The Puri Yatra is one such festival where people travel from various parts of the world to congregate and celebrate the Yatra. We wanted to create a moment of experience around this occasion that goes beyond just product sampling, through unique product interventions." Boke says that providing energy bars that use Tata Salt as an ingredient was one such step. "This will not only create a contextual product experience, but also make the consumers' Yatra experience more pleasant. We hope that this activity will create a strong emotional connect amongst our consumers," he says. According to research carried out by the agency, the heat and humidity around this time of the year renders most pilgrims dehydrated and low on energy. Hence, the agency came up with an easy-to-consume and real-time solution to this problem by offering tangy 'Energy Pops' which were special energy ice bars made of Tata Salt, lemon, sugar, and purified water. Hundred and thirty kilograms of Tata Salt was used in making the branded ice pops which were manufactured at Kolkata and were brought to Puri in freezer vans before being handed out to pilgrims from the three customised branded Tata Salt carts. Pradyumn Tandon, founder and director, The Brand Brewery, adds, "We wanted to create something around the occasion that goes beyond mere product sampling. While other aspects are taken care of, the basic health requirements of the devotees have to be looked at. Hence, we came up with the idea of 'Energy Pops' which would help them maintain their energy levels despite the sweltering heat. 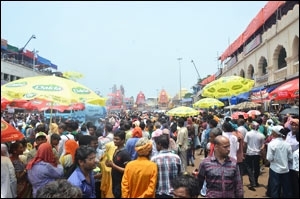 People from all parts of the world travel to witness the Rath Yatra and we felt that this was a great way to connect with the devotees and provide an on-the-spot relief solution to make their experience stress free." Continuing further, Tandon states that the state government of Odisha has banned all kinds of outdoor advertising like banners and hoardings along the Grand Road where the Rath Yatra takes place except on-ground activations. Thus, according to him, the main challenge was to address such a huge gathering effectively and grab eyeballs. 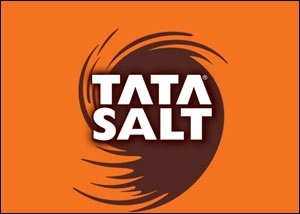 It is worth recalling that Tata Salt had recently launched its month-long outdoor campaign 'Shubh Bhojan ki Shubh Shuruwat' at the Simhasth Kumbh Mela in Ujjain where it had distributed one lakh branded 'thalis' at 15 'akharas' in its effort to restore the long-lost tradition of having a pinch of salt before a meal. The edible oil producer Dalda Edible Oils has been one of the popular brands that have taken up branded activations for the Rath Yatra in Puri over the last two years. While last year, the brand executed an outdoor campaign 'Bhajan Se Bhojan Tak', in 2014, it had collaborated with famous sand sculptor Sudarshan Patnaik to create a life-size sand art installation of Lord Jagannath in Puri besides having installed a 12-feet branded helium balloon at the Grand Road and also created special branded merchandise for the same.